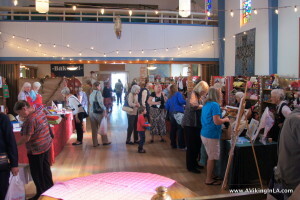 In the nave of the church you’ll find all the booths. They offer Scandinavian goods of all kinds, both imported from Scandinavia and homemade by members of the church. We arrived when the fair had just opened so the area around the booths was packed with eager shoppers. There was no way to take a picture that would actually show anything. I had to return and take pictures when all the first attendees were enjoying their lunches from the café. 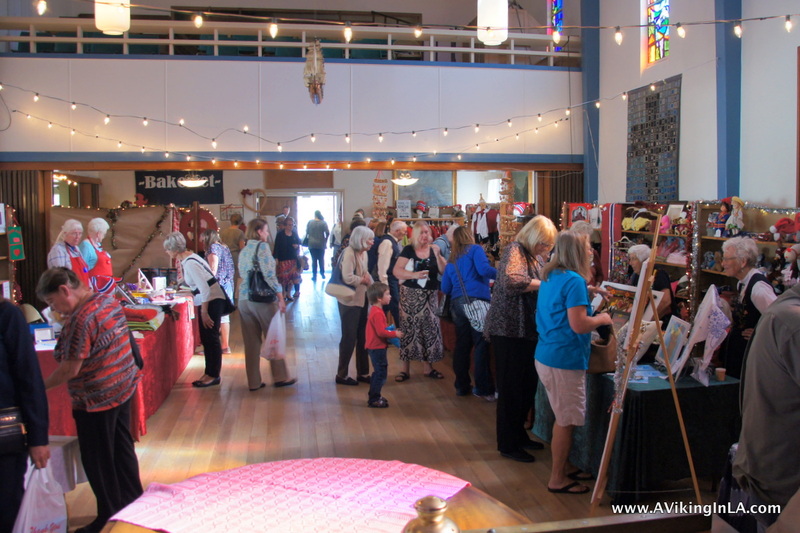 It’s always fun to browse the booths and see what’s being offered. 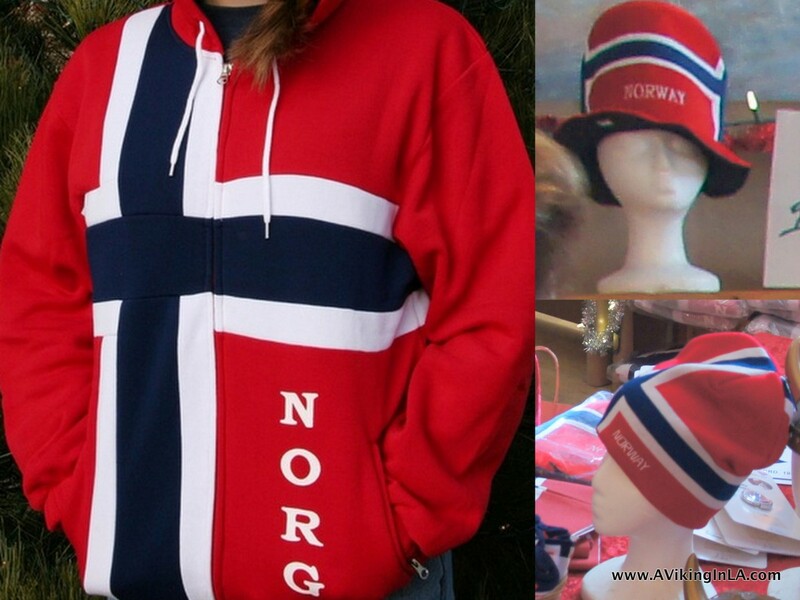 This year I was struck by number of items that would truly show my Norwegian pride—a bold Norwegian flag zipped sweatshirt, and a top hat and beanie patterned like the Norwegian flag. Another favorite display was the children’s bunads. Too bad I don’t have young kids anymore and could dress them up in those for special Norwegian occasions. A highlight of my visit is always lunch. 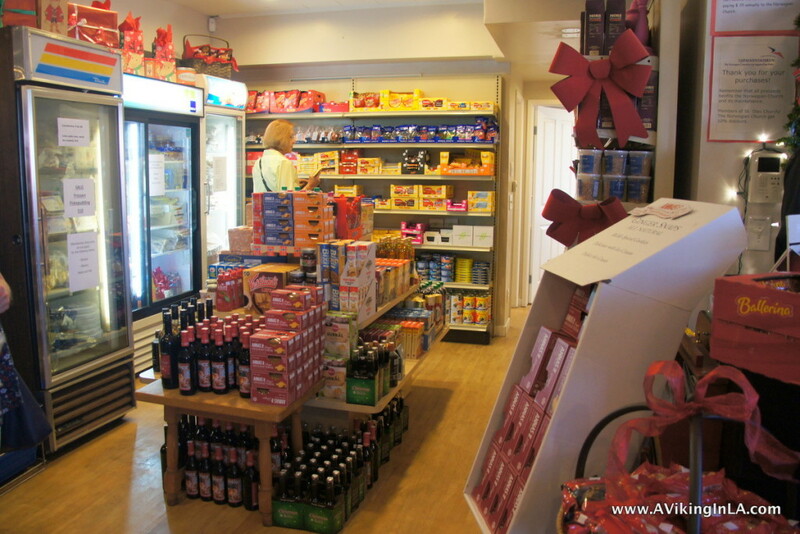 The kitchen offers a wide selection of traditional foods, both warm and cold. As is tradition for me, I went with rømmegrøt og rød saft (sour cream porridge and red juice), but since the portion was smaller than I expected, I added an open-faced sandwich with smoked salmon and scrambled eggs and I couldn’t resist the Norwegian chocolate cake. The foods didn’t disappoint. My American friend enjoyed the lapskaus med flatbrød (meat stew with flat bread). 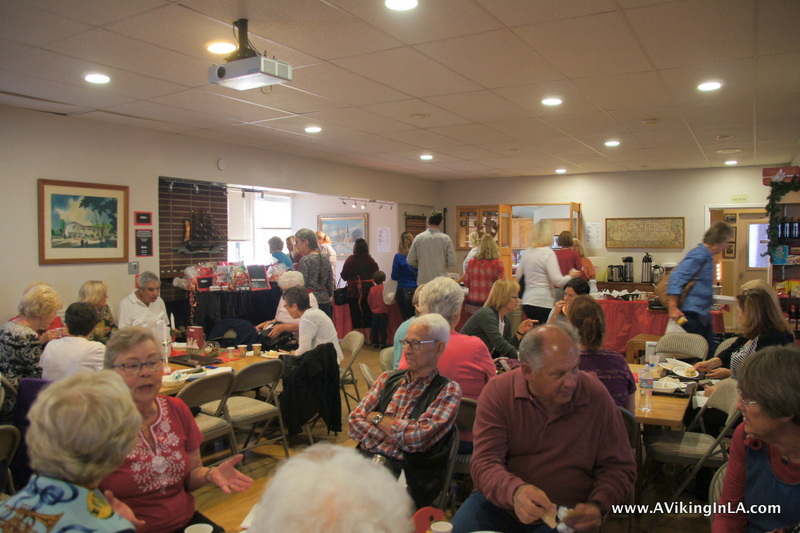 Others around us were enjoying ertesuppe (pea soup), sandwiches with shrimp and egg salad, and marsipan cake, just to name a few of the many offerings. And many guests of course were indulging in the waffles. I passed on the waffles because I can make those easily at home and instead I focused on foods that I don’t normally eat at home. Click image to view meat products! But that’s not all they carry; that’s just the refrigerated and freezer sections. 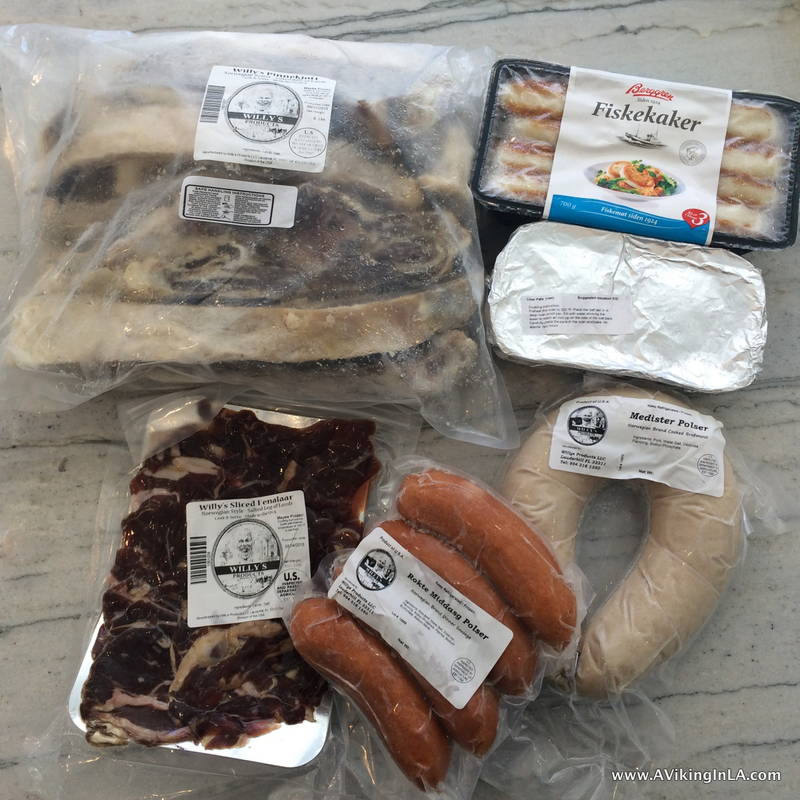 You can stock up on a variety of Scandinavian drinks (Norwegian soda favorite Solo, gløgg mix, Christmas Soda, Husholdnings Saft); candy and chocolate; and canned, boxed, and packaged foods (including my favorites risengrynsgrøt and rømmegrøt). The variety is just so great that you’ll have to come and check it out yourself. The visitors on Friday were generally an older crowd. They came from all corners of Southern California from Thousand Oaks to San Diego. 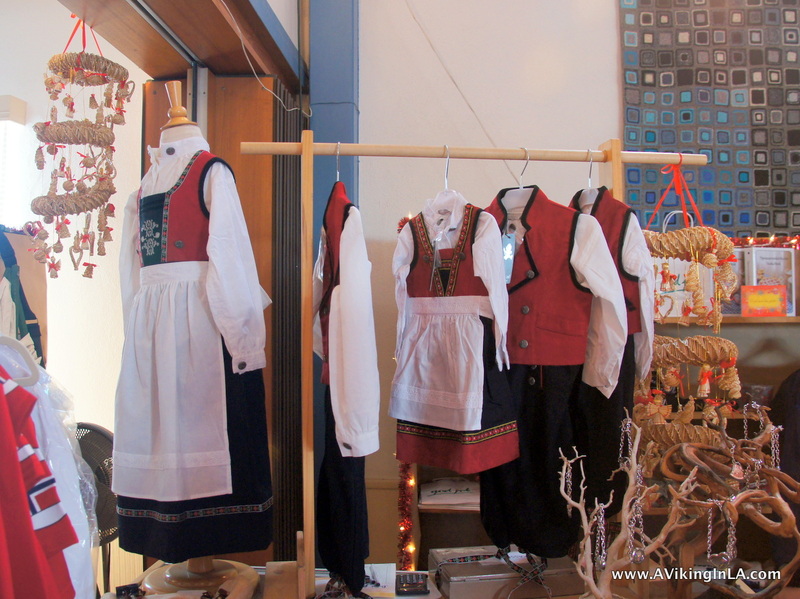 During the weekend, families will visit. 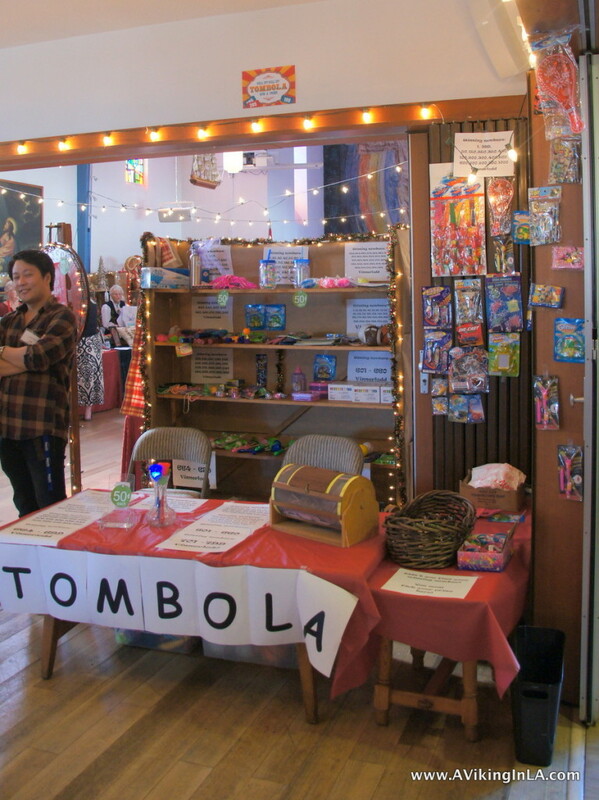 On Friday, the tombola booth with its variety of prizes was ready to welcome the kids. On Saturday from 12:00pm to 2:30pm there will be Christmas craft activities for the kids in the basement, and on Sunday there is a family service at 11:00am. The church yard will be filled with kids playing ball or climbing and sliding on the apparatus. 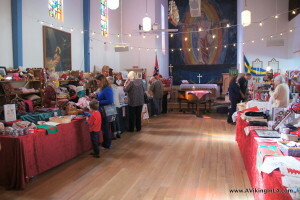 During all days of the Christmas Fair, there are raffle tickets for sale and drawings. Our Friday visit was short and we had to leave before the first drawing, but I saw some wonderful prizes, including fresh homebaked goods. The Christmas Fair is just the beginning of the Christmas festivities at the Norwegian Church. 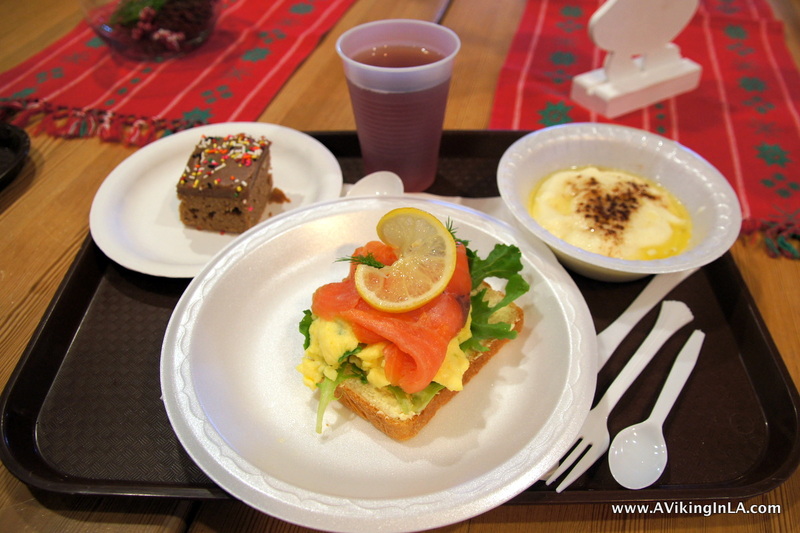 On Tuesday, December 1, they will hold their annual Christmas Luncheon with traditional Christmas dishes made in the church’s kitchen. You must RSVP by November 24 so don’t delay if you’re interested. 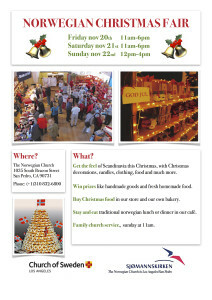 Then on Saturday, December 12, you can return for Christmas Porridge. Below you can see the full program. Enjoy! 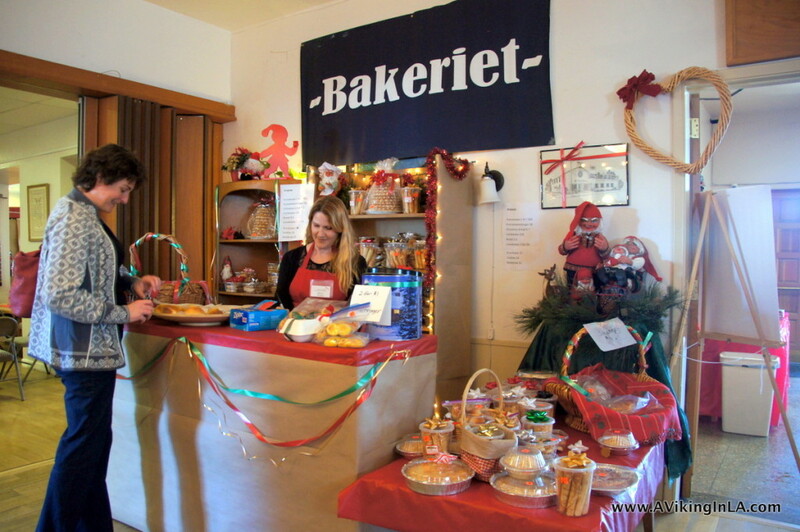 This entry was posted in Norwegian Culture and tagged Christmas, food, julebasar, San Pedro, Sjømannskirken by Patricia Zanuck. Bookmark the permalink. I must get there on a future visit to LA!! I am an associate member of Mindekirken, here in Minneapolis, and it is wonderful!! 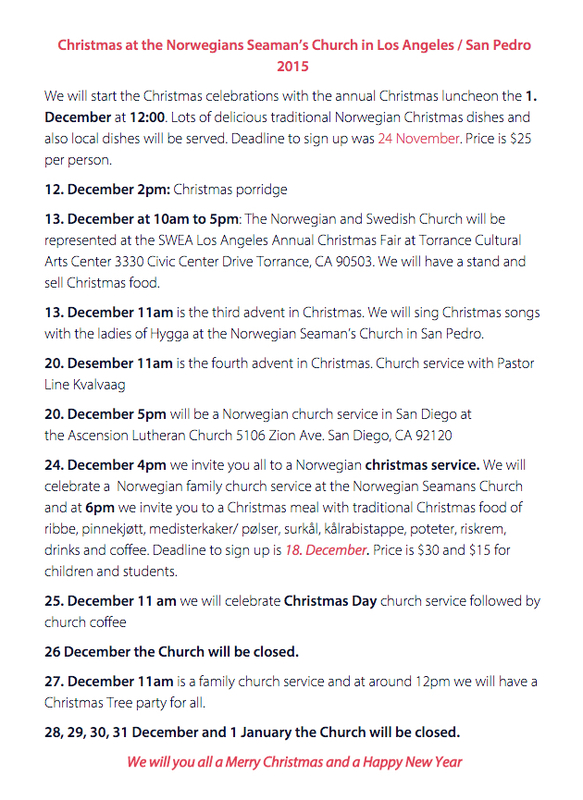 So glad there is a Norwegian Church in LA for my kids to attend!! And it’s a friendly group of people who run it! There’s something for everyone there.